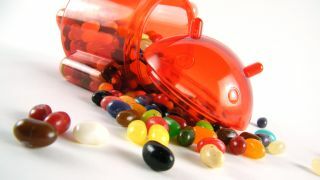 The official Android 4.2 Jelly Bean update could be on its way to Samsung Galaxy Nexus handsets as some owners report an over the air update. According to Engadget, some Galaxy Nexus owners have received the official upgrade from Google but it seems locked to GSM handsets for the time being. There's no official word from Google or Samsung on when Android 4.2 will roll out fully to various regions, but it should hopefully be in the next few weeks if these reports are to be believed. If you're more technically minded and really can't wait for Android 4.2 then the folks over XDA-Developers have taken the update and made it available for all versions of the handset. Of course there are the usual warnings about hacking your device, and if you choose this option it's at your own risk – we'd recommend holding on for the real deal. Or, if you want a handset running Android 4.2 straight out the box then check out the Google Nexus 4, which went on sale today, but you'll need to be quick as stock is selling out fast. We've contacted Google and Samsung to try and glean more information on the Android 4.2 update and we'll update this article once we hear back. Update: A Samsung spokesperson has told TechRadar: "We will announce rollout plans for Android 4.2 to our Galaxy portfolio of devices in due course."